Sometimes you get numbers so out of whack that you have to rethink what you’re doing. That happened when I tracked the 22 second basemen that have had enough plate appearances to qualify for the batting title. According to baseball-reference.com (as of June 10th), the major league batting average was .252. The ISO2 average for the league was .202. That puts the ML average ROV at .227. Admittedly, that was considerably lower than I figured in the first two articles in this series. It also might change some of the advice I would give on certain players from those first two articles. However, we are getting ahead of ourselves. First, let’s talk about real offensive value. The idea behind it is that fantasy players (and teams) often focus too much on batting average and not on everything else a player does in the batter’s box. So, I adapted ISO2 from Bill James’ secondary average. His formula includes a speed component, but it includes all of base running which can complicate a fantasy outlook. ISO2 essentially adds isolated power and isolated patience into one number. Then, we add average and ISO2 and then divide by two. Typically, all-star performers will have ROVs over .300, but as we will see here, some positions are better than others. We may not see another position with as little depth as second base. Obviously, since we just passed the one-third pole, some of this is bound to change, but so far the fans have a legitimately difficult decision when it comes to selecting an all-star representative from each league. We will divide our 22 players into three categories: elite starters, fringe starters, and look away. Admittedly, these numbers come with a couple of major caveats. The first came in the introduction when we looked at the league average ROV. A .226 league average kind of skews what a .260 ROV might look like. Most people associate those numbers with batting averages and already have their opinion of a .260 mark. Every statistic comes with a context and the context here is that second base is razor thin in terms of offensive production. The second major caveat is that most fantasy leagues are won on statistics like runs, RBI, and stolen bases. None of those are a factor in ROV. 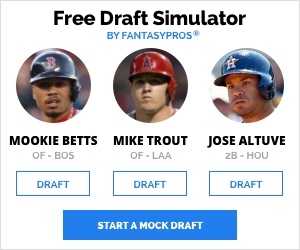 This is what we would call the difference between fantasy baseball and real baseball. I would fully admit that anyone that bases their roster completely on ROV will come out disappointed. However, it can be used as a tool to find undervalued players like Joe Panik and Logan Forsythe. They may still be available in some leagues. Like with the other positions, we take a special notice of the names not seen above. Arguably, the top three or four second basemen off the board on draft day did not make it into that first group. Really, they weren’t close. As noted above, they may have some fantasy elements that make ROV somewhat irrelevant, but it is interesting. A wise man once said that a picture is worth a thousand words. In terms of analysis, numbers serve the same purpose. It is often been difficult for analysts to articulate why they have a problem with Brandon Phillips or Jose Altuve for example. Altuve led the league in batting average, hits, and nearly stolen bases last season. That makes him a fantasy hero. The problem is that when he isn’t getting a hit, he isn’t doing much else. Similarly, Phillips was driving in 100 runs nearly every year for awhile and hitting 20 home runs a season as a second baseman. Yet, analysts kept pointing to what they predicted would be a sharp decline. They turned out right, but some just assumed it was some sort of voodoo witchcraft. Numbers like ROV and Bill James’ secondary average can articulate what is often difficult to put into words. I’ll readily admit that Dee Gordon and Jose Altuve have more value than shown here because of their stolen bases, but it’s not as much value in real baseball as people think. This could be the reason why the Houston Astros selected Alex Bregman with the second overall pick even though they already have Carlos Correa and Altuve as a double play tandem. They certainly would never say anything publicly, but even if you look at his brilliant 2014 campaign, he still had a ROV of .245. His career mark of .224 is not even league average. That works while he’s relatively affordable, but when his next contract comes up, there is no way he would be worthy of eight figures a season much less nine over the life of the contract. At least two of these players were picked as fantasy regulars on draft day. 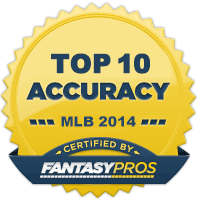 Chase Utley and Robinson Cano figured prominently on a number of fantasy teams this season. I’m sure Utley has been jettisoned by most of them by now, but what do we do with Cano? That is the burning question that nags a number of fantasy players right now. In some leagues you may even be banned from cutting him. So, do you bench him or just keep throwing him out there in hopes he will figure it out at some point? There are no easy answers to that one. Fantasy owners don’t have the same dilemma with Omar Infante, but the Royals certainly do. To prove Kansas City fans are an unbiased judge of all-star fitness, they have propelled Infante into second place on the American League second base voting. We can only hope that sanity is restored before the American League effectively throws their chances of home field advantage in the World Series. There are now better options in both Arizona and Oakland for Chris Owings and Eric Sogard respectively. Chip Hale has always had Aaron Hill there, but refuses to give him the regular job for whatever reason. Ben Zobrist had been hurt, but now is playing in the outfield. You would think they would have a better outfield option than Sogard is as a second base option, but maybe I’m missing something. I’m not sure I can take any metric seriously that would rate Stephen Drew above Robinson Cano. Small sample size notwithstanding it looks like you are taking a metric that measures how many hits a player gets (BA) and averaging it with one that measures the number of extra base hits a player gets per at bat (ISO) when we already have a number that does that. Call me stupid if you want to – but isn’t that almost exactly what SLG PCT does (albeit in a different fashion with different weights on HRs vs 2Bs)? This list is pretty similar, it is just missing the slight adjustment of patience that you see in ISO2. What are we doing here? We are just blending two stats that we know how to describe, BA + HR (with a slight ISO2 nod to OBP), and distilling them down to one. But what about RBI, R, and SB? Well we know that RBI is somewhat a function of HR + BA; since getting hits frequently results in some RBI and hitting HRs always results in a minimum of 1 RBI per blast. But this is just guesswork to say how our players abilities can impact a team outcome. For fantasy, which uses stats like RBI and R (which are more team dependent) and SB (which have much to do with player tendencies and managerial style), I think other metrics would describe these players better. Dozier hits leadoff, which means he probably usually has fewer runners on base. So, even with a great ISO, you might see less RBI from him. 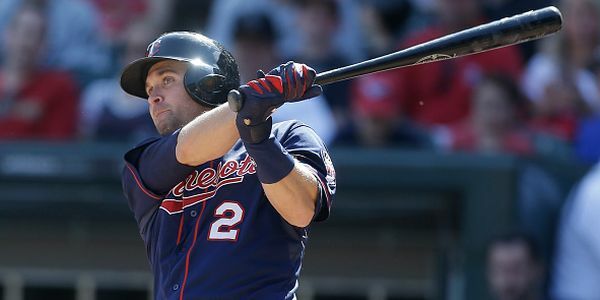 But, since he hits leadoff, Molitor probably thinks of him as a stolen base threat – and would use him accordingly. While he might run into a few outs, hitting leadoff probably also gives him the advantage of scoring more runs – with better bats behind him than for – say – Daniel Murphy, who was hitting 5th in the Mets lineup for most of the season before heading to the DL. I’d suggest to predict Runs that we should have a number that measures the quality of the 3-4 hitters behind our man (perhaps weighted to the man directly behind and less to to the guy two batters later) and blends this with a measure of our guy’s ability to get on base, move himself over, or knock himself in with a HR. Call it SA for Scoring Ability if you want. For RBI we’d want something similar that measures the on base ability of the 3-4 players ahead of him, weighted toward the man directly ahead, and giving preference to their proximity to the plate (are they usually on first or 3rd? 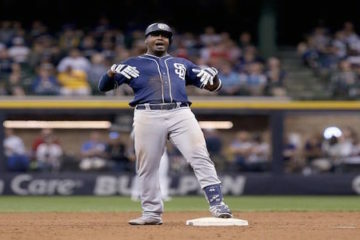 ), and blend that with our hitters slugging ability. Call it RBIP or RBI Potential if you like. The idea of using a stat that blends in the skills of other players on the team is a bit wonky for us – since we are always trying to use stats eliminate the noise to get to that magic single number (like WAR) that will tell us how valuable THIS player is. But players don’t play by themselves and the numbers we use in fantasy reflect that – as should the metrics we use to evaluate them.